What are compatible toner cartridges and are they the same as generics? There are so many; are they all the same? Will they damage my printer or void its warranty? Do they produce good quality print outs? First of all, compatible toners are manufactured by many third-party companies in many countries. They are all new cartridges (not refills or remanufactured) that are meant to fit into the same printers as the OEM cartridges. Some companies do produce what many people refer to as generic toner cartridges. Those are typically in a plain box and don’t have a brand name associated with them. Since there is no brand name to protect, you might expect that these will be more susceptible to quality issues. That is not always true though. It really depends what company produced them since approaches to generating profit varies. For example, some want to be the cheapest and others want a reputation for quality. 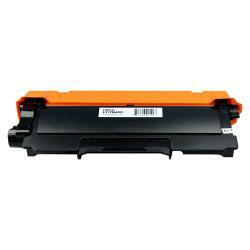 A LINKYO brand Brother TN450 compatible toner cartridge is popular and has many excellent reviews. CLICK to see reviews in the store. But if they are generic, how can a consumer know one from the other? Well, unless you are in the toner cartridge business, you probably can’t tell. In fact, some generics sold by the some retailers are swapped from one to the other manufacturer based on availability, cost, and other factors. So, no, compatible toner cartridges are not all the same. If getting consistent and reliable results matter to you more than getting the cheapest price, you will want to look to a name brand compatible instead. Brands typically take ownership of the quality level of the product, often down to the level of specifying what components and toner powder are used for their particular models. They do this of course because they are building and protecting a brand image based on some set of values they offer their customers. I posted an article in October 2012, answering the question, “Are compatible toners OK?” I noted there that compatible toner cartridges usually have some differences in their design and manufacturing so as to avoid violating copyrights or patents held by the original printer manufacturer. This accounts for some of the major differences among compatibles, since each must come up with their own way of getting around the legal issues. Concerns about voiding the printer warranty is largely unfounded, as discussed in my post about that question here. Essentially, the U.S. Congress made sure in 1975 that manufacturers of many types of products don’t have a stranglehold on needed supplies. Furthermore, actual damage to printers by generic or compatible toner cartridges is very rare and often caused by the user themselves. Some generics are in fact good at replicating the quality of the OEM version. Reputable retailers know which ones they are and will stick with those to provide their customers consistency. Branded compatibles may often be the better choice, however. A brand has a reputation to loose if their products are not delivering on the promise they made to their customer. Repeat customers are the key to keeping a consumables business alive. The best way to find these good brands without taking the risk of blind chance is by going through the brand’s reviews. I like to do that on a search engine. As you can see, there is consistency in the reviews across all the locations where they are found. That is what you are looking for in a brand of compatible toner cartridges. Of course, you want to check the guarantee offered as well. Interestingly, most OEM manufacturers do not guarantee their cartridges near as long as some of the best compatible brands. Satisfaction guarantees are not typically part of them either. LINKYO offers a 2-year satisfaction and quality guarantee. 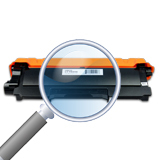 For most any printer, you can find quality third-party branded compatible cartridges. Generic cartridges can be a greater risk if you are buying from retailers that are not reputable. So, check the retailer’s reviews too. Armed with this information, you no longer have to ask if compatible or generic toner cartridges versus genuine OEM toner cartridges are trustworthy.